Learners studying Engineering and Construction related courses at Pembrokeshire College had the opportunity to meet with local employers last week thanks to the College’s Employment Bureau and Dragon LNG. Sponsored by Dragon LNG, learners met face-to-face with representatives from local employers over lunch in the student-run restaurant. Employers including Dragon LNG, BTG International, Bullock Consulting, GD Harries and Sons, Mansel Davies and Son, Dairy Care, Emerson Automation Solutions, United Aerospace and Dale Sailing attended the event to help learners to find out about the employment opportunities available locally with a particular focus on engineering and construction opportunities. Over 40 learners attended the lunch which gave them the chance to ask questions, find out more about each of the employers and hand in their CVs in an informal setting. The event was organised by the College’s Employment Bureau which is part funded by Welsh Government and helps young people to find work by assisting them with CV writing, interview skills, finding work experience placements and job searching. Following this event, a lunch is now planned for learners from the health, care and hospitality sectors to meet with local employers to explore the opportunities available to them. 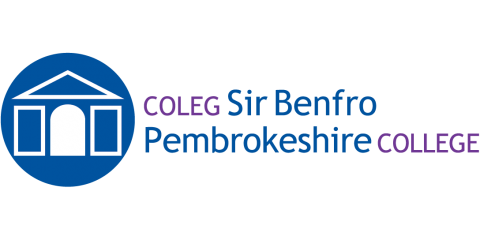 Dave Evans, Deputy Principal at Pembrokeshire College commented: “We are very grateful to Dragon LNG for once again agreeing to sponsor our Employer Lunch. The lunches are part of a series of events that Dragon LNG supports and is a way of learners and employers interacting.